In summary, these were what I needed to unlock my AT&T Sierra Wireless 754S (or aka AT&T Mobile Hotspot Elevate 4G). 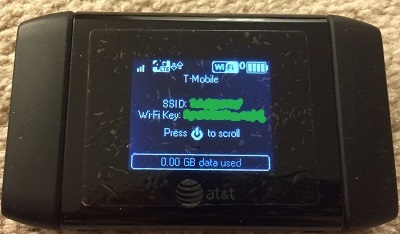 A non-AT&T SIM card, which needs to be inserted in the device to unlock. 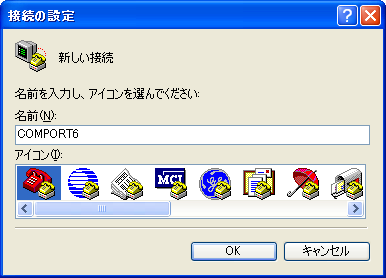 A Windows XP computer to use HyperTerminal. AT&T also gave an option to unlock it through AT&T Connection Manager, but it does not work for this device. By the way, the instruction from AT&T was wrong and full of errors. I had to figure the correct commands. I was using AT&T Sierra Wireless 754S, also known as Mobile Hotspot Elevate 4G, until I purchased my iPhone 5S last July. The unit has been disconnected since then. But, it came to my mind that the device may be useful if I unlock it. I can lend it to a short time visitor, for example. We often have a visiting scholar from Japan. A network connection is always an issue. 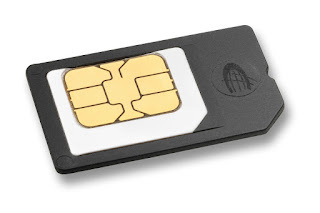 I can lend this device to a visiting scholar, and he/she can buy a pre-paid SIM card. I first tried to send an unlocking request by myself from the AT&T web site. The IMEI number of the device (which can be found behind the battery on this device) was rejected. The error message implied that my IMEI number was not in their database. I called AT&T customer support and asked to unlock it. The first operator was sloppy and sounded like she was not willing to help. In fact, she said she created an unlocking request, but later turned out she did nothing. Since AT&T did not get back to me with the confirmation after several hours of the first phone call, I called again. The second operator was professional. In fact, she really tried to help me. She said there was no record of the unlocking request on my account. That's how I figured that the first operator lied. What she figured was that the AT&T database looked to be screwed. I followed her instruction, but the web site still said it didn't recognize my IMEI number. Then she looked at my account record and confirmed that the IMEI number was correct. She also tried to send an unlocking request from her side. But, she also had the same error indicating that the IMEI number was not recognized. At that point, what I knew was that there is a record of my device on my account. However, the device cannot be recognized from the unlocking-request page. She raised an issue to a higher-level tech support, and I was supposed to get a reply by Wednesday. As I expected, I heard nothing by Wednesday. I called again, and a very fast-speaking operator took my call. He said that the request was approved on Monday, and an E-mail was already sent. But, the E-mail was nowhere (in my mailbox) to find. He tried to walk me through the steps. But, to unlock this particular device, I needed a PC, and he was not a very good PC tech support. I asked him to send the content of the E-Mail over the text message, and I finally got the instruction and the unlock code for my Elevate 4G. The instruction showed two options. One is with AT&T Communication Manager, and the other with HyperTerminal. The first option didn't work. I have tried AT&T Communication Manager versions 7.2.32 and 9.2.359.7, both of which did not recognize my Elevate 4G. The second option was full of errors. First, Windows does not recognize the Elevate 4G as a modem. However, the instruction was assuming that Windows was going to recognize it as a modem. 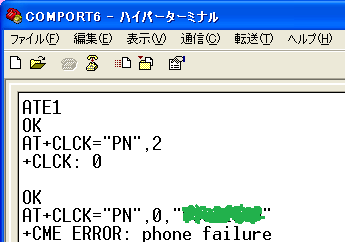 I needed to identify which COM port is assigned to the device, but this instruction didn't help. Instead, what I had to do was to open the device manager, and open Port (COM & LPT). 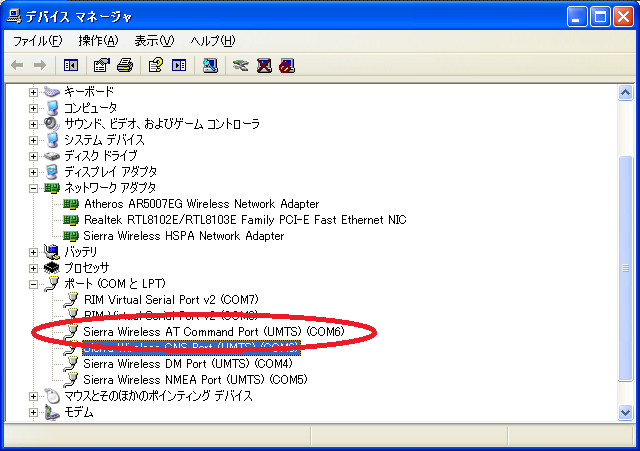 It indicated that "Sierra Wireless AT Command Port (UMTS)" was assigned to COM6. That's what I needed to know. 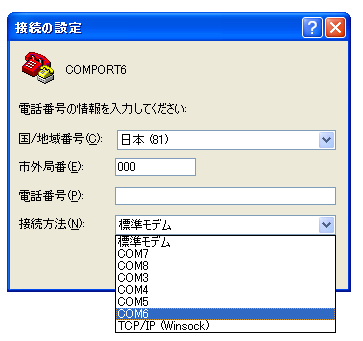 Use "Device Manager", not "Phone and Modem" to identify the COM port number. Then, next issue was HyperTerminal. There is no such thing in Windows 8. I ressurected an old Windows XP laptop, which has been disconnected from the outside world when it was no longer supported. I connected my Elevate 4G with the USB port, and opened Hyper Terminal (from Start Menu > Accessories). I had to create a new connection. Just gave a random name, and then selected COM6. Give a random name and pick one of the icons. 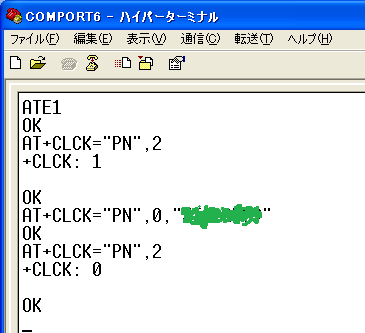 I followed the instruction, and typed ATE1<enter> and the device replied with "OK". By the way, you may not see the echo back of "ATE1" for the first time. The command "ATE1" enables echo back. So, for the first time, you may need to type it blindly. Type "ATE1" to enable echo. AT commands reminded me of the days of 2400bps modem. Correct command needs double quotes as: AT+CLCK="PN",0,"aaaaaaaa"
You need to type this command while a non-AT&T SIM card is in the device. I was getting errors until I added double-quotes like below. 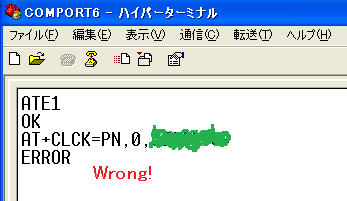 This command given in the instruction is wrong! By the way, I crossed the unlock code so that you don't even try this number. You need to get this number from your original carrier, in my case AT&T. YOU HAVE LIMITED NUMBER OF UNLOCKING ATTEMPTS BEFORE YOUR DEVICE IS PERMANENTLY LOCKED. The number of allowed failure can be as low as five times. Make sure you get this number from your carrier. Then, I added double-quote, but I got a different error because the original AT&T SIM card was in the device. The device was thinking it was not locked and therefore cannot be unlocked because I still had the original card from AT&T in this attempt. The first command was to check if the device was locked. What's weird was the reply +CLCK: 0 was supposed to mean the device was unlocked. I anyway went ahead and tried to unlock it, and got "+CME ERROR". At that point, I suspected that I might need to install a SIM from a different carrier. The unlocking command may have failed because the device was thinking that it was not locked. By inserting a SIM from a different carrier, the device may think it was locked. I had a T-Mobile nano SIM that was good for activating a phone (with no data and talk time). I cut a piece of plastic so that I could scale-up the nano SIM to the full-size SIM. I inserted my scaled-up T-Mobile nano SIM and tried again. My nano SIM to full-size SIM adapter. First, I checked if the device was thinking it was locked by typing AT+CLCK="PN",2, and +CLCK: 1 indicated it actually was locked. Then I entered the unlocking command, and I got a reply OK from the device. As soon as I entered the command, "SIM MEP Locked" message was gone, and my Elevate 4G was communicating with T-Mobile network.